The 8th Henley Literary Festival beginning 29 September and running to 5 October is now open for bookings. 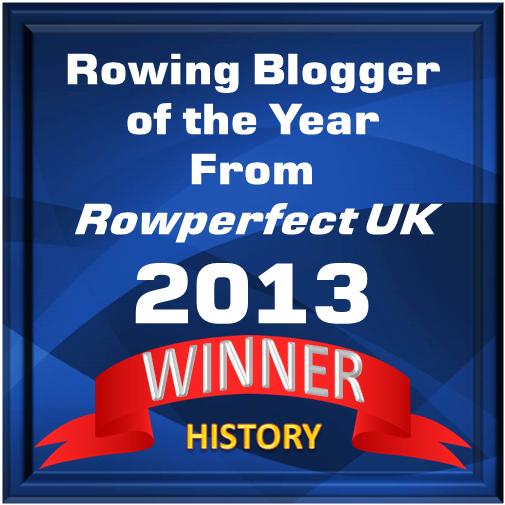 The exciting news for rowing enthusiasts is that there are three opportunities to catch up with the authors of recent publications on the subject. 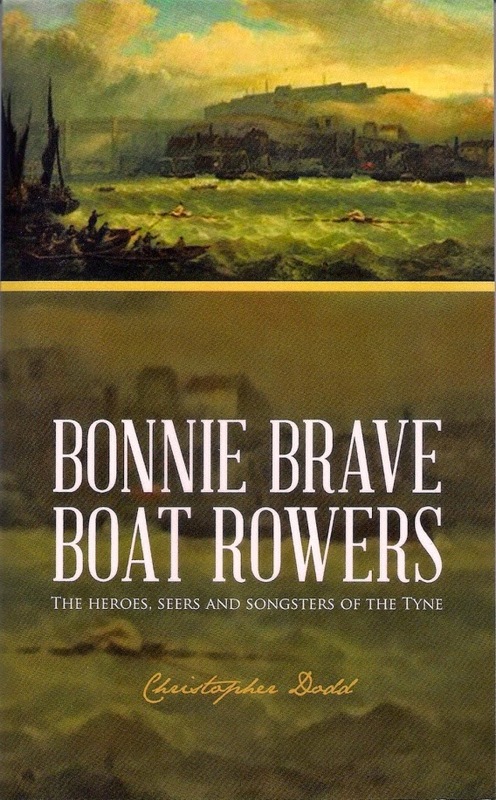 Dodd, Carlson and Mowbray may sound like the name of a dodgy firm of solicitors but the only thing dodgy about their contribution to the world of rowing literature is that Chris Dodd touches on some dodgy dealings in his book Bonnie Brave Boat Rowers. Dodd will be the first of the trio to grace the festival when on Monday 29 September he literally takes to the water on board Hibernia to discuss Geordie Rowers. 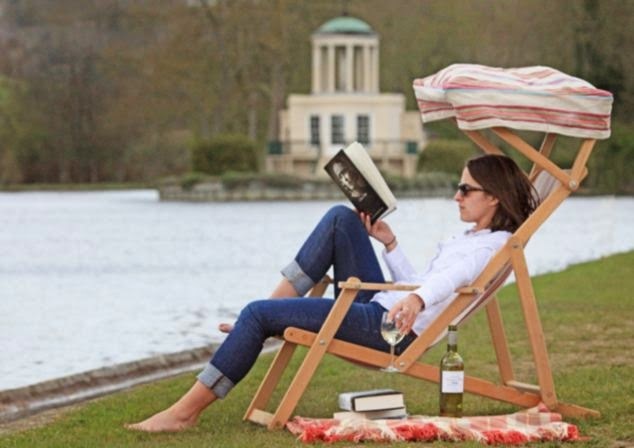 As fitting an author to appear at Henley (and on the Hibernia) as you can imagine. Christopher joins us from the River & Rowing Museum to recall the rowing culture that thrived in the north east of England through the 19th and early 20th century. 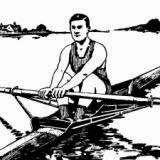 Rowing was a professional sport inspiring innovative design of racing boats, while the music hall roared with songs to honour the oarsmen’s prowess. You can read HTBS editor Göran Buckhorn’s review of the book here, order a copy here and read a review of Chris’ 2012 appearance at the festival here. 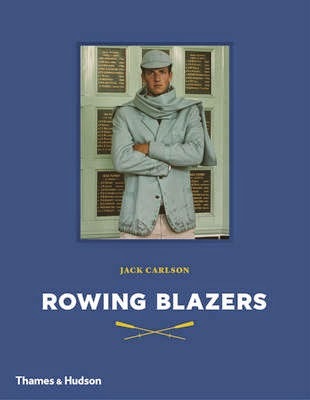 Also on Monday 29 on the Hibernia immediately after Chris, Jack Carlson will tell the story of his book Rowing Blazers. Cambridge University’s Lady Margaret Boat Club has the honour of wearing the first blazers, so called as they were (and still are) bright red. But the jacket has gone on to become a worldwide rowing uniform and one that brightens the Thames banks during our Royal Regatta in July. So join Jack, winner of last year’s Regatta, aboard the Hibernia with his stunning book on the history and development of the rowing blazer, featuring designs from around the globe. He is wonderfully qualified as an oarsman who has represented the USA at the World Rowing Championships and rowed [sic] for Oxford in the University Boat Race. So that is two blazers he is entitled to wear! (FP). Tim Koch recently reviewed the book for HTBS. He also features within its pages. 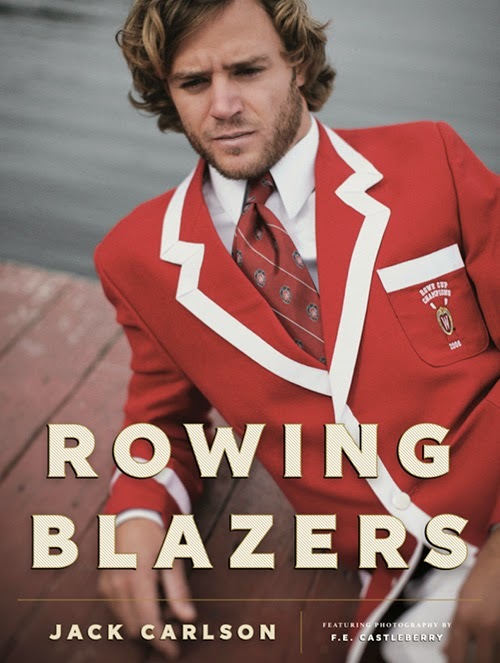 Read his review here and watch a video that tells the story of the authentic striped, piped, trimmed and badged rowing blazer, through the oarsmen and women who wear them here. Whilst these two events follow each other on board the Hobbs & Sons Hibernia, separate bookings which can be made here are required for each. If these two rowing events can be said to top the festival, you will have to wait until the final day (Sunday 5 October) for the tail. It is an event that I am particularly looking forward to as I have already received a ‘pass out’ for the day and my ticket is booked! Alison Mowbray won a silver medal in the women’s quadruple scull at the Athens Olympics in 2004. 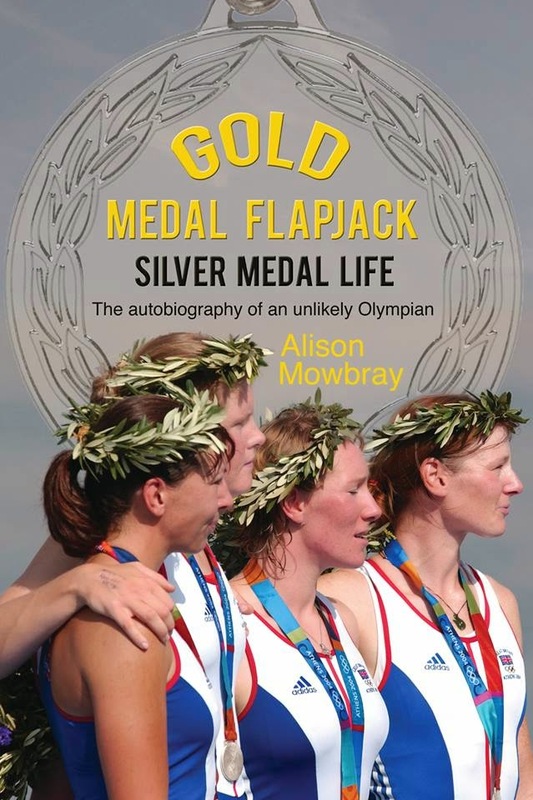 Her autobiography Gold Medal Flapjack, Silver Medal Life was the first rowing book published in 2014, with a publication date of 2 January. “Alison Mowbray wasn’t a sporty kid and thought that being good at sport was a pre-requisite for going to the Olympics. She thought she might be a doctor, a teacher, a Blue Peter presenter or maybe the first ever female naval submariner. Then at 18 I discovered rowing. From that point on, for the next 15 years, I didn’t have a choice anymore. She made the British team at 27, by which time she had already lived a whole other life. I never planned to be inspiring so really this is just the story of how I did the things I love, the very best I could do them, and how very far it took me. You don’t choose to go to the Olympics. You lay out everything you have and let the Olympics take it no deals, no bargains, no questions asked, no hope of return. Maybe it will be enough and the Olympics will choose you, and maybe it won’t. That’s what you do. That is this story. This is a Silver medal life of achievement, addiction, alcoholism, anorexia and Alzheimer’s. But a Gold medal story of passion and perseverance, and not letting anything or anybody get between yourself and your dream. And of what happens next perhaps the most Olympian journey of all after the blaze of glory with the medal held high. Because what do you do when you’ve achieved everything you ever wanted to achieve? Where do you go from there? This started out as a recipe book with a few stories from my life, and then the story took over. It also became really important to me to write this as a history of British women’s rowing because I don’t think many people on the outside really understand how incredibly self-motivated and tough us women have had to be pull ourselves up, often in defiance of the first fledgling attempts at some sort of system”. Alison will once again take to the water on the beautiful river Thames on the final day of the festival as the Hibernia is also the setting for her talk. Martin Cross, aka The Blogging Oarsman gives his take on the book in a short video which you can watch here. It’s more than 20 years ago that Alison Mowbray turned up at Bedford Rowing Club “to do a bit of sculling”. I remember the long, lithe, limbs and sleek wooden sculling boat flashing up and down the Ouse, gliding along the sun dappled river with the poise and balance of a damsel fly. Sculling made to look effortless. Alison won near every race she entered as she worked her way through Novice and the lower Senior ranks. We affectionately nicknamed her “Wonder Woman”. But it was no wonder to me when, in 2004, she medalled at Athens ! I think that Alison was on placement at the time at an International Company, in the small Bedfordshire village of Sharnbrook. Coincidentally a former Sharnbrook Upper School student, Paula Radfcliffe, was starting to make her mark on long distance running. Strange that one small Bedfordshire village should harbour two great female athletes ! Greg Denieffe: Alison, someone remembers your time (fondly) at Bedford Rowing Club - check out the comments on the blog. Gold Medal Flapjack: Ah, that is very sweet. A damsel fly! Thanks for drawing it to my attention.